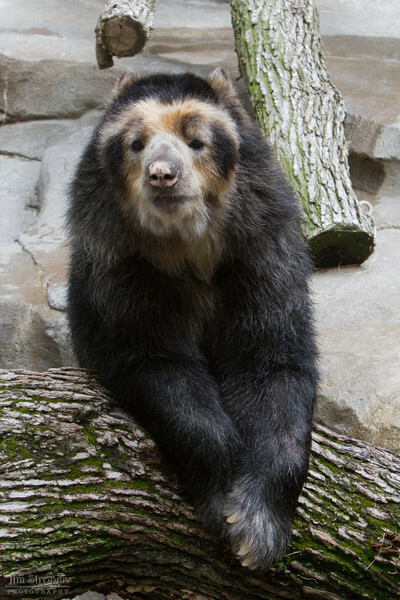 Tremarctos ornatus (Andean bear - also called Spectacled bear). Image of Andean bear resting late afternoon at the Henry Doorly zoo in Omaha, Nebraska. The Andean bear is native to South America.